Ecology’s Hesperia Recycling Center proudly serves the city of Big Bear as an important part of our service area. Through this center, we serve many communities, including the residents and businesses of Big Bear with access to recycling. We are able to accept both large and small amounts of residential recycling items and industrial scrap at our recycling facility. Our center is focused on providing a user-friendly setup that’s easily accessible and simple to use. At the recycling location, you can quickly drop off your recyclables and we’ll get you your value redemption, avoiding a long, complicated process. By providing a simple easy process, we strive to make recycling doable in your everyday life. If you put items that could be recycled in the trash, you create more pollution. Why? Because these items then go to landfills and incinerators instead of being reused. 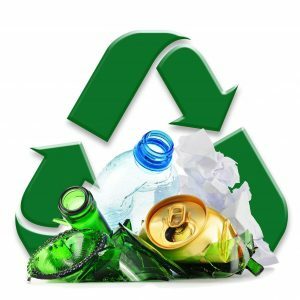 By recycling, you provide the raw materials needed to make recycle-based products. Making new products from recycled items reduces the need for mining, which often results in pollution of water and other natural resources. 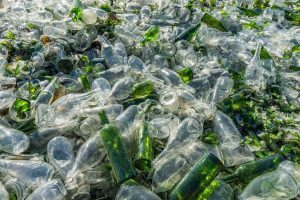 Less energy is needed to produce recycled items, meaning the preservation of air and water quality. 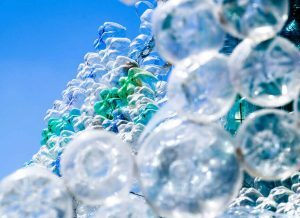 If you need more incentives for recycling, consider this: recycling pays. Yes, you’ll be compensated for the recycled items you bring in. Scrap metals, in particular, can be very valuable. CRV items in bulk can also command decent returns, especially if you remember that it’s money that would otherwise be lost. Heaps of old rusting car parts? Old bicycle frames? Rusting appliances that no longer work? This is scrap metal. In scrap metal recycling, these old, unusable metals become useful again. Both households and industries create plenty of scrap metals. There are two basic categories of scrap metals for recycling. Because there are different types of metal with different properties, some are more valuable and useful than others. Although just about any scrap metal can be recycled, it is typically separated before entering a recycling center based on these categories. Before recycling, recyclers must determine whether the metal is ferrous or non-ferrous. Have you ever been surprised to find that a metal item wasn’t magnetic? Some metals just aren’t! But ferrous metals are magnetic. Their main components are iron and/or steel. Typically ferrous scrap comes from old vehicles, appliances, demolition scrap, structural steel or metal offsets from manufacturing warehouses and industries. 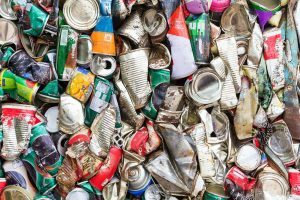 In some recycling centers, ferrous metal is separated from non-ferrous metals with a giant magnet. This makes for easy processing. Because of the ease of processing and other reasons, ferrous metals are typically less valuable than non-ferrous metals. But don’t let that keep you from taking in your old scrap metal. There’s more to recycling than compensation. Remember that you’re also contributing to the preservation of Big Bear’s beautiful natural resources. The main difference between ferrous and non-ferrous metals is that non-ferrous metals are not magnetic. Made up of other metals such as bronze, aluminum, and copper, these non-ferrous metals typically do not include steel or iron. The one exception is stainless steel, which is categorized as a non-ferrous metal despite containing steel. Some common sources of non-ferrous metals are window frames, household hardware (plumbing), wires, bicycle frames, and some car parts. As mentioned, non-ferrous metals usually command a higher price than ferrous metals. At our recycling center, we accept both ferrous and non-ferrous metals including copper, aluminum, brass, tin, steel, and iron. CRV is a special program here in California that was developed to incentivize recycling. 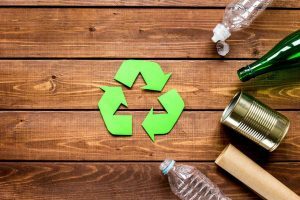 Both businesses and private citizens are encouraged to recycle due to the financial compensation provided when certain recyclable items are turned in for recycling. 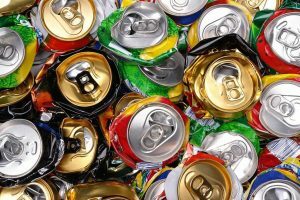 These items include soda, beer and juice cans, vegetable juice cans, wine and beer bottles, etc. The materials included in these packages are aluminum, plastic, glass and layered metal. How does the program work? Recyclable CRV items include a small price in the purchase cost when you buy them at the store. However, when you turn the items in for recycling, you get the same amount of money back. CRV is only applicable for items purchased in California. Often processed as individual items, larger amounts are usually processed by weight. At our recycling center nearby the city of Big Bear, you can drop off all of your clean and dry CRV items. 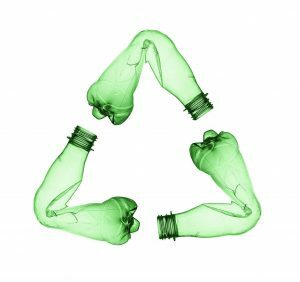 At Ecology, one of our main goals is to make it easier for individuals and businesses to engage in recycling. Our recycling location is designed to serve the region of the high desert and San Bernardino National Forest including Big Bear. Conveniently located just off the highway, you can easily access our facility on your way to visiting larger cities in the area. In order to serve the needs of businesses, industries, and corporations that handle large amounts of recyclable items including CRV and scrap metal, we offer a roll-off bin program. Through this program, we are able to deliver and pick up roll-off bins to your property. Once filled, we’ll come out and haul off your scrap and recyclables, leaving a new, empty bin for you to use. We strive to make recycling as easy as possible, however, we are not set-up to receive all recyclable items, trash and hazardous materials. Due to our current capacities and our health and safety standards, we are unable to accept some items, including the following. Located in the heart of the San Bernardino Forest, the city of Big Bear is a jewel of Southern California. The area is known for its natural resources including Big Bear Lake, which is a popular tourist attraction. Ecology believes strongly in protecting the natural resources that Big Bear is fortunate enough to enjoy. Part of that protection includes recycling. Whether you are a citizen or own a business or a factory, we are prepared to support you in your recycling needs. Feel free to contact us to find out more about our CRV and scrap metal recycling programs. We look forward to supporting you with your recycling efforts.